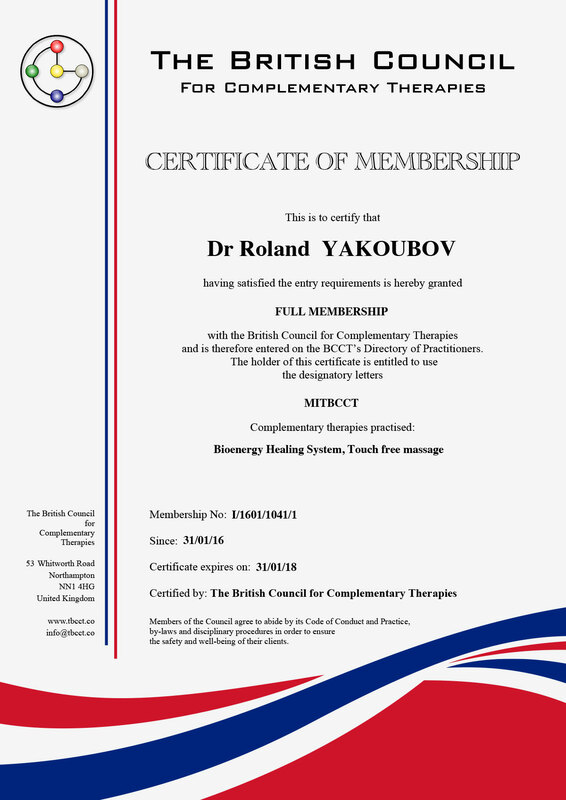 Our mission at the Roland Bioenergy Healing Institute is to teach people how to master the interconnection of body, mind and spirit. We offer individualized healing sessions for clients seeking to optimize their health, and we provide training to those who might wish to become a United Nations Certified Energy Healer. Our unique training blends the fundamentals of energy healing with power yoga and meditation, leaving our students empowered to obtain optimal lifetime health and well-being. Our curriculum is life changing, not only for our students, but for the world at large. 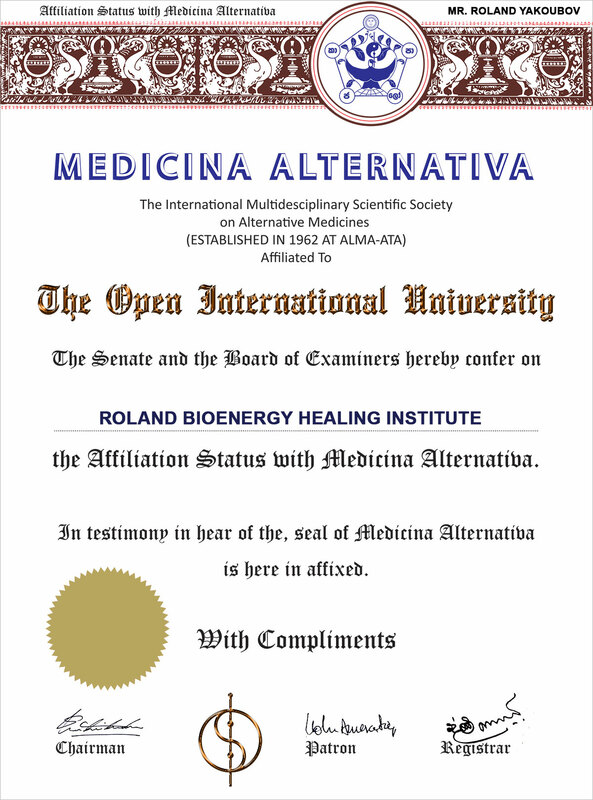 The Roland Bioenergy Healing Institute is affiliated with The Open International University for Complementary Medicines Charter of Medicina Alternativa Alma Ata 1962 which is recognized by the United Nations University of Peace constituted under United Nations General Assembly Resolution No. 35/55/5/XII/80.